Home > Blog > Community Journal: No Tricks, Only Treats! For Elyrians who celebrate this spooky and scary holiday of tricks and treats, Happy Halloween! Soulbound Studios had a monstrous amount of content for our community this month, as droves of devoted Chronicles of Elyria players were provided a plethora of updates and announcements. Players were gifted an early holiday treat, when we announced and then released a la carte pricing, which goes live tomorrow! Adventurers and merchants far and wide rejoiced that they could now expand their fealty to include elements they've long-sought for many a fortnight. Also, we made significant changes to our official (and now verified!) Discord (chat) server, announced the official launch kingdoms of Elyria, and were treated to new concept art by Soulbound Studios' Vanimus Prime. We happily introduced the newest member of the development team, Adam "Snipehunter" Maxwell, and he even spent time with you as he, Caspian and Tripnull hosted a livestream Q&A on Twitch. Our quest parties have continued their valiant efforts to achieve victory in their latest adventures, as Vye poignantly described in her most recent production update. Conquest of Elyria resurfaced again during PAX Australia, and while it didn't go as smoothly as planned, the community collaborated and fought hard battles, won many rewards, and had a ton of fun! We premiered our brand new six-minute progress update video here, and released brand new lore to satisfy your spooky holiday cravings. Perhaps the biggest surprise, was when we announced that you too, no matter what station you were born, could become a Monarch of an entire Kingdom on NA-E via our brand new Free Kingdom of Elyria event! Each month we spotlight an organization from our community. Sometimes it will be a kingdom, other times a guild or association. We have many creative members who are building amazing groups in Elyria, and this is one way we can make sure you know about them. Today we wanted to provide some details about the Kingdom of Kairos, hailing from the Luna server in North America-East. Crest: Diamond flanked by Red and Blue Dragons - In Kairos lore, those two dragons represent the last of the fabled dragons, whose very existence has been unknown for many generations. Goals: "Kairos aims to be an economic power, but we cannot only be a merchant kingdom. A merchant cannot sell bread without the baker to make the bread, a farmer in the field to make the wheat, a smith to forge weapons and tools, a miner to pull out the ores, a trader to move those goods, and a sentry on the wall to keep watch. Balance." Slogan: Prosperity in peace, fire in war. Fun fact: As early Kickstarter backers, their community was built around the idea of creating the Golden Bank of Elyria. They were one Count (Thared Richfort) and five citizens. As the community grew, so did their pledge values until Thared decided to make the Monarch pledge. New Moderators and a Super Mod! We had two new moderators join us this past month, AvA & Kitlandria. You can read about their role change here and here, respectively. Welcome to the team! Additionally, and this was not previously announced, Melizenn is stepping up to a Super Moderator role to further mentor, guide, and assist our mod team. She is focused on supporting our moderators as we continue to strive for greatness.. Congrats Mel, a role well-deserved! Soulbound volunteer Moderators help keep the peace, assist players whenever possible, and are bastions of knowledge about the Chronicles of Elyria community. To get to know them better, we decided to give you a little more insight into who some of our wonderful and mysterious moderators. This month we talked to Flashman, now a Super Moderator, who holds the distinction of being the longest-tenured moderator on our current team. Serp: Thanks for doing this. Let's start with where you were born? Flashman: I was born in a hospital! More specifically, in a suburb of Sydney, in the state of New South Wales, here on the east coast of Australia. Serp: Great, how about more about where you are living now? Flashman: Perhaps predictably, I live in a suburb of Sydney. But not the same one I was born in! The suburb itself has been largely working class for most of its life but, as Sydney has started to sprawl outwards in the last couple of decades particularly, and as housing prices have gone up and up to ridiculous levels, the suburb is now filled with all sorts of new people, and new shops, new apartments, basically "new everything" is reflecting changes in a lot of ways. Serp: How about a story from your childhood? Flashman:: Our family used to take a lot of holidays when I was a kid. Road trips that would put the Griswalds in the Vacation movies to shame. And although by the time I was in my early teens and given the option to go on holidays or stay at home (and I chose to stay at home), I look back on my life up until 13 or 14 and I realise I shared so many hours, experiences and places with my mum and dad that even now, I can hear a place name and think, "Oh yeah, we went there in 1984..." or "Hey, I've caught a fish there..." or "That's the diner where grandma almost choked to death on a steak sandwich..." and there's this rich tapestry of memories that I didn't even realise was being created at the time, which is now always with me. Serp: When did you become a mod? Flashman: I became a mod in July of 2016, a day that will live in infamy... no, wait, it was a very nice day as I recall! I was very surprised to be offered the role by Caspian, but more than happy to accept as I believed in the game and enjoyed its community, so was more than happy to step up and help out as a volunteer. There were very few of us back then too, so it felt like I was taking on a fairly big responsibility but I was up for the challenge... and still am! Serp: How would you define the difference between a moderator and a super mod? Flashman: The Super Mods came about as a way to take the mods with the most experience (with CoE moderation and/or community moderation in general), and highlight that so that the other mods - especially newer ones - have an easily identifiable group within the moderator group that they can reach out to when needed. This might be to discuss a tricky situation they've encountered or even just a general question about being a moderator. So there's a mentor element to it, if anyone on the team wants it. So those who think the job comes with a cape or a corner office will be disappointed; it's largely just a differentiation within the moderator group that helps the group communicate with itself. Serp: What do you like most about being a (super) mod? Flashman: I like the way it's not a battle every day - or even a combative environment in general. The vast majority of CoE users are very chill and whether they've read the CoC inside out, or are simply just compatible with the kind of environment we seek to maintain for all users, they're wonderfully in-sync with what we want. Compared to other forums or Discords, CoE is, dare I say it, quite easy to moderate. And may that continue to be the case! Serp: How about the worst? Flashman: No surprises here, as I've mentioned it on the forum before now. When I became a mod, I was surprised how often my comments on things were taken to be the Gospel of SBS when, sometimes, I was just spit-balling an idea like I'd always done before moderatorhood. Even when I'd say, "I'm not wearing my mod hat..." there was a sort of expectation that anything I said was laced with internal insights into SBS. As a result, I stopped doing my blog on the game and cutting back on the more outrageous and speculative posts I'd been known for as I didn't want to be misleading anyone, or getting called out for saying something that might come back on SBS. Remember, all sorts of people, including games journalists, trawl forums for stories and the last thing I'd want to see is, "SBS Moderator, Flashman, today confirmed..." No, no, no, I'm not confirming anything you guys! In many ways, I've got no more insight into CoE than many of you out there and, perhaps in the cases of some super fans, maybe even less. Trust me! Serp: Let's shift gears a little and talk about a few fun topics. Tell me about your strangest pet? Flashman: I don't think I've had a pet which could be called strange. There's been several dogs and a cat, and some fish and birds; none of which are particularly odd. Certainly some of them have ACTED strangely over the years. 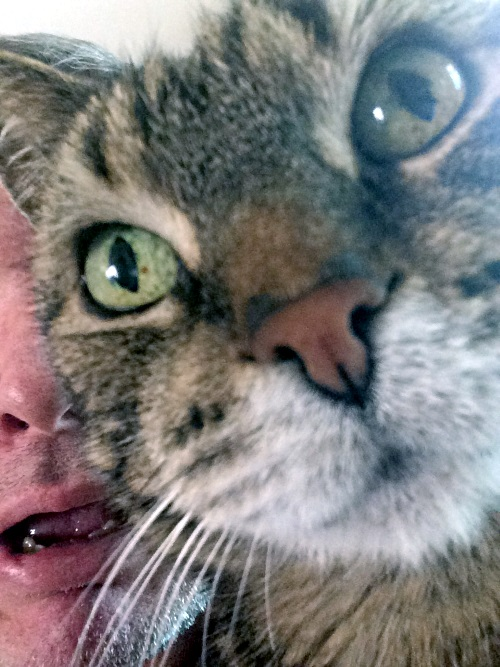 My cat, for example, who is a senior citizen these days at 17, is quite talkative and uses different tones and length of noises when he's communicating. I think after being around for so long he's got a whole language system worked out for himself - if only I knew how to decipher it! He's a lot of fun to be around. Serp: Being that you live in a country where parts of the land is filled with various animals, have you ever been hunting? Flashman: No, I've never hunted. Not for any political statement (unless we're talking shooting exotics like elephants and lions which is just barbaric); I simply haven't been interested in it. Which is not to say I haven't gone shooting in general. I was part of a Naval Reserve military rifle club for a period of time. Target shooting, basically. I found that quite fun from a competitive point of view, but also interesting historically one as a lot of the rifles used were WW1 and WW2 vintage. I'm a history buff and not ashamed to say it! Serp: Thanks for sharing all of that interesting info about yourself, we really appreciate it! Did you have any last words you'd like to impart on our community? Flashman: In the immortal words of Robocop, "Stay out of trouble!" There were no new qualified ambassadors to vote on this month. If you know of a community member who would make a great candidate, feel free to nominate them here. Kaizen hosted a Let's Play session with Chronicles of Elyria developers and commnunity members, as we played three rounds of Town of Salem live on Twitch. Watch the video replay here. 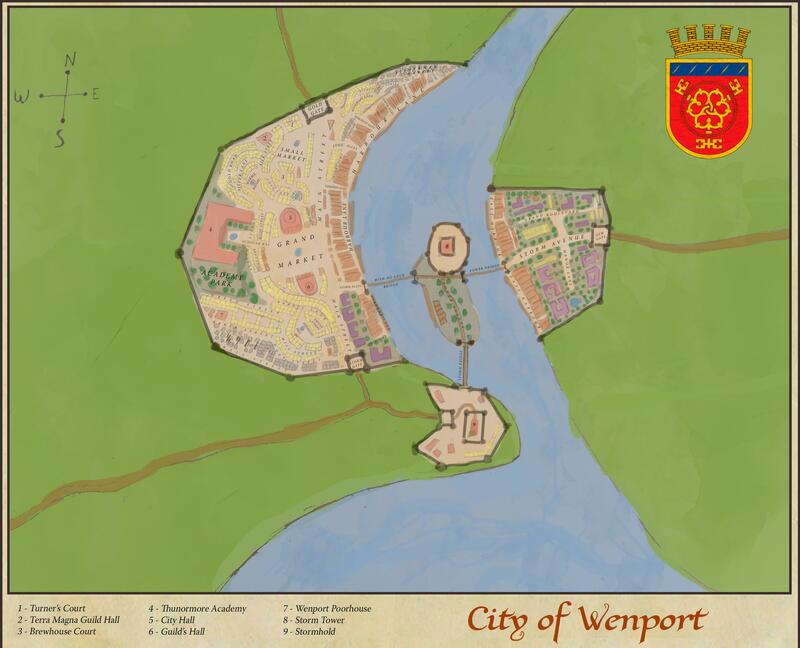 According to Thor, "Wenport was the first city built by the Thunari clans who, until then, had been a nomadic horse people. They had been traveling for as long as anyone knew. Kept resilient by a prophecy which stated that when the Great Salty Water stopped them from traveling towards the sun, they were to settle down and once again become a bounded people (what they called people bound to a single place they called home)." If you'd like to submit your own content, you can do so here. Since our Discord channel for new players was such a success, we decided to duplicate this effort in our forums. Please direct new players to this new forum at the top of the community section here. We can't reveal much, but rumors abound that the community moderator team have some exciting news to share with you tomorrow, so keep your eyes peeled to the forums! With that last bit of news, we reach the conclusion of this month's community spotlight. We hope you found it informative! Thank you for the interview! Very interesting insight from one of our oldest community moderator. So many news lately, I am really excited for what's coming! Thank you for the interview! Very interesting insight from one of our oldest community moderator. So many news lately, I am **really** excited for what's coming! lots of updates, thanks SBS. It's officially "tomorrow" over here, can we not get a sneak peak? Lol. Nice Serpentium. I cannot wait for tomorrow then .